The Crazyradio PA is a long range 2.4GHz USB radio dongle used to communicate with the Crazyflie Nano Quadcopter. The Crazyradio PA long range radio features an nRF24LU1+ microcontroller and a powerful 20dBm power amplifier. The power amplifier enables communicating with a Crazyflie 2.0 Nano Quadcopter Drone at line of sight distances up to 1km (more than half a mile). It is backward compatible with the first generation Crazyflie at a reduced range. Both the radio hardware and firmware are open source. The radio includes a bootloader that allows the firmware to upgraded directly over USB. The built in nRF24LU1+ microcontroller has an 8051 core with 32kb of FLASH and 2KB of SRAM. It features a 2.4GHz ISM band radio that supports 125 channels with data rates up to 2Mbps. 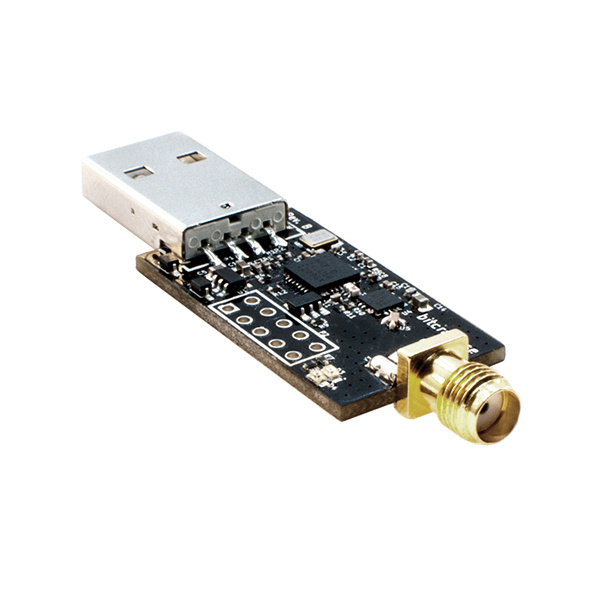 A 100mW LNA Low Noise Amplifier provides 20dBm of radio output power. An antenna is attached via a standard RP-SMA connector. 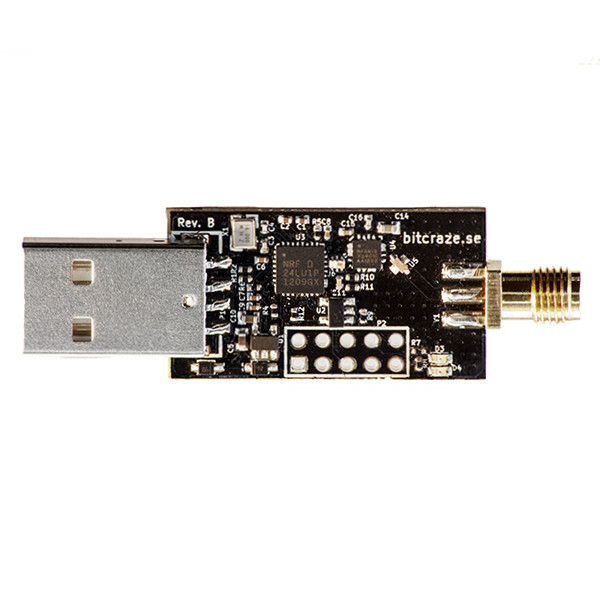 This package includes the Crazyflie PA long range USB radio dongle and a 2dBi duck antenna.